The WMG Degree Apprenticeship Centre was awarded £10 million funding from the Government’s Local Growth Fund through the Coventry and Warwickshire Local Enterprise Partnership (CWLEP). The steel frames for the centre are now in place in the first phase of creating the complex, which is scheduled to open in September this year. The WMG Degree Apprenticeship Centre, at the University of Warwick, will provide apprentices with the opportunity to study on degree programmes to develop the skills needed by advanced engineering and manufacturing companies. The Centre will run training programmes up to Master’s Degree level initially for 1,000 students, who will complete their studies at the University campus in conjunction with their employment at companies throughout Coventry and Warwickshire. The Centre will feature flexible teaching and lab space, and an environment for technology-enhanced learning as well as provide advice and support to apprentices and organisations. The WMG Degree Apprenticeship Centre is the first stage of a future Degree Apprenticeship complex at the campus to train students in a range of Degree Apprenticeships. Minister for Local Growth, Jake Berry, said: “We’re committed to boosting economic growth across the Midlands Engine and whole of the UK and building a Britain fit for the future. 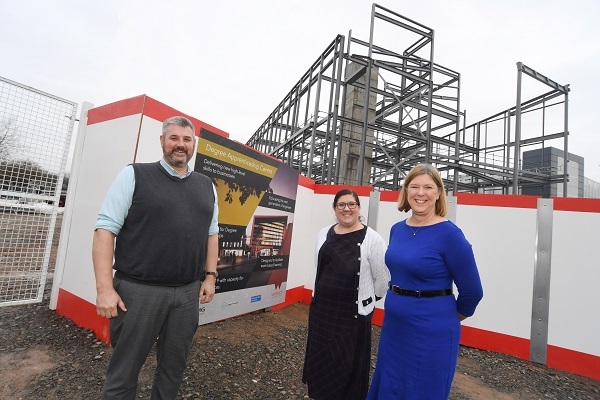 Jonathan Browning, chair of the CWLEP, said: “It is great to see the WMG Degree Apprenticeship Centre taking shape since this will be a valuable resource to train students with the skills which employers need to drive their businesses forward. “The Local Growth Fund was established by the Government to give LEPs the opportunity to fund projects which will boost the economy, support businesses and create jobs.